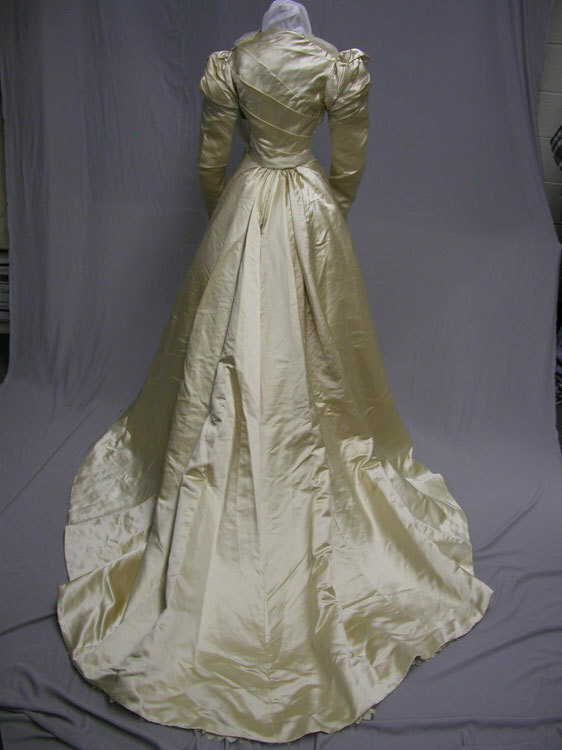 D433, Stunning 1890's Colby of Boston Bustle Wedding Gown from the Webb Museum: This is such a lovely wedding gown. 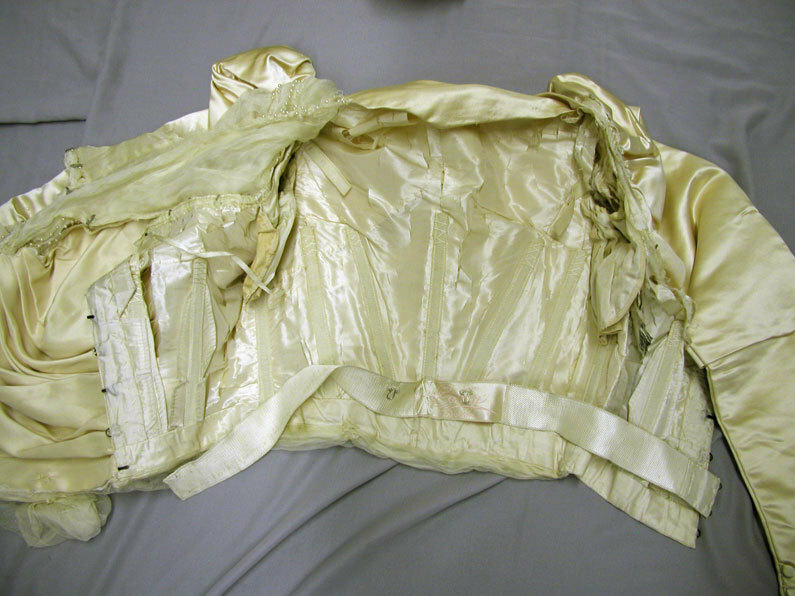 It has its original petersham with the label "Colby Boston." There is a hand printed tag on the dress which reads: Webb Museum, 1 of 19. 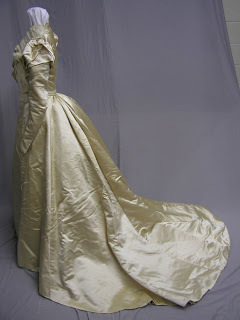 Cream colored Wedding Gown with seed pearls. 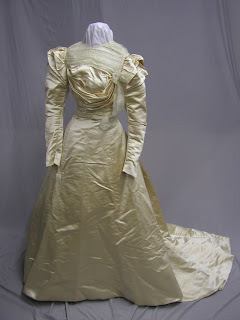 1890's. 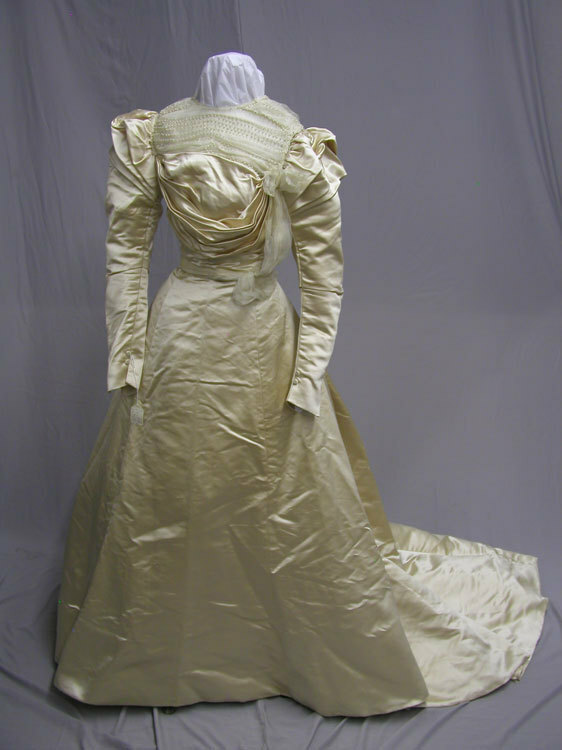 The dress is made during the last bustle period. The skirts were of simple design yet so elegant. 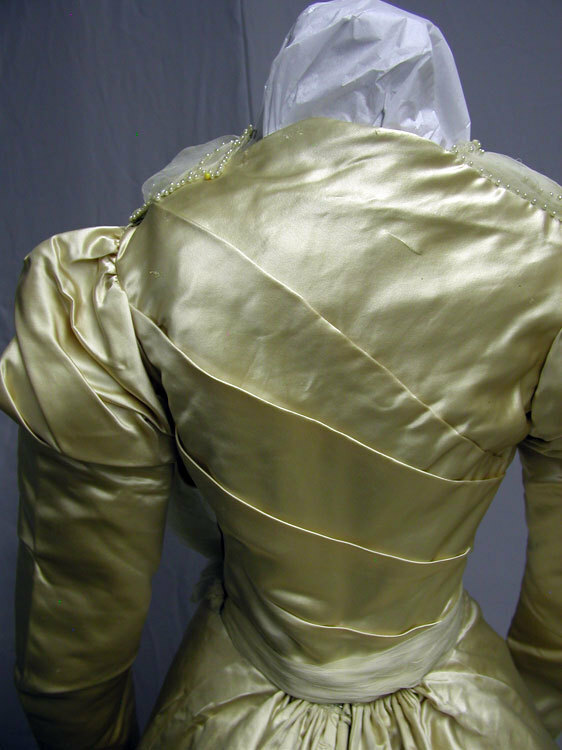 The heavy silk satin has turned a lovely shade of golden cream. The skirt is in good condition with some minor splitting in the outer silk. The lining has quite a lot of splitting. You can not see this when the dress is on a dress form. The waist is 22, and the length in front is 40. The bodice is trimmed in silk chiffon sewn with tiny seed pearls. 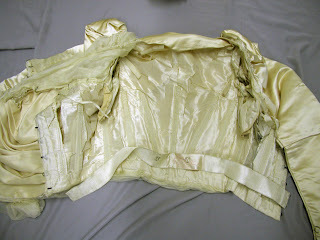 The outer part of the bodice is in good condition but I am sure it originally had a collar which I never received. There are no eyes to receive the hooks on the left side shoulder. Much of the lining is shattered. 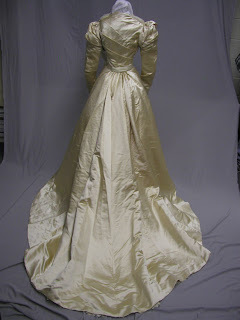 To make this dress wearable you would have to reline the bodice and the skirt. Also you would need to create a collar to attach to the top of the bodice. 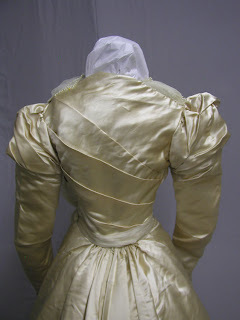 The bodice has a waist of 22, a bust of 30 and a shoulder of 11.5. 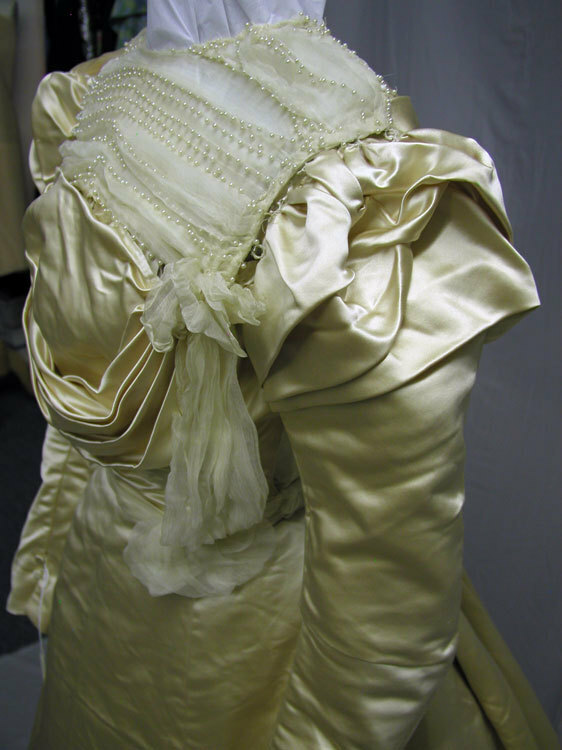 We will start the bidding at $0.99 on this beautiful piece of bridal history.